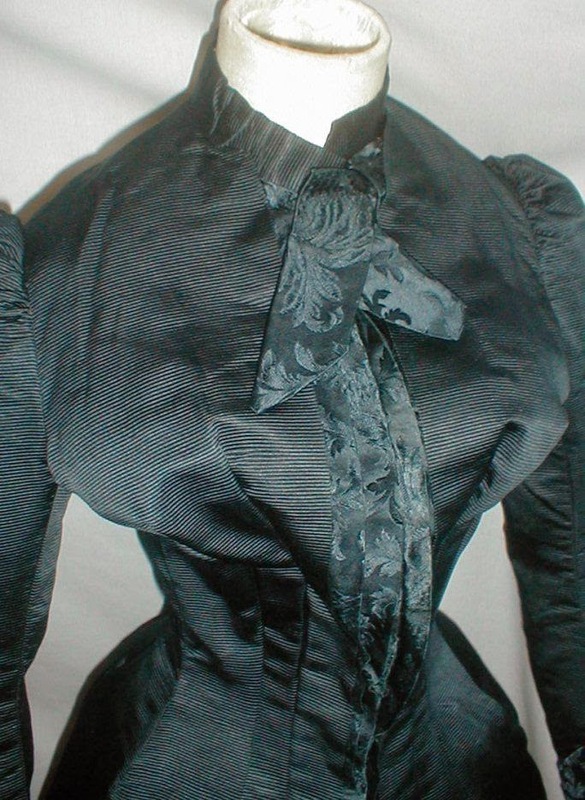 A stunning 1880’s navy blue silk and navy blue satin brocade bustle dress. 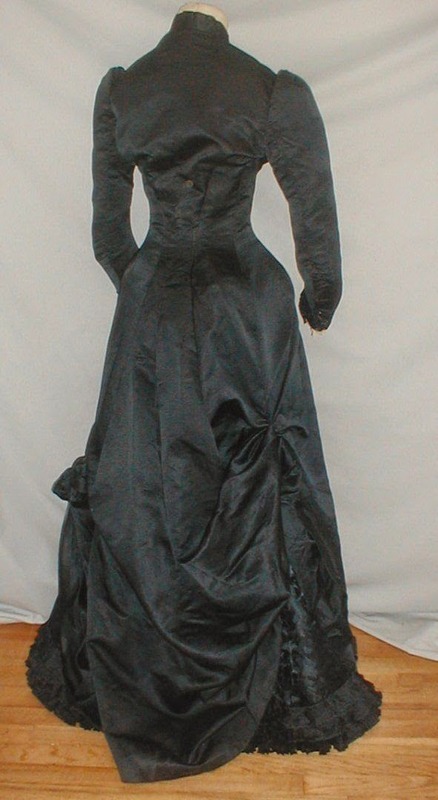 The dress appears black in some of the photos. The color shows best in the close up of the bodice. The bodice is designed in the long tunic style. The front of the bodice and the sleeve cuffs are trimmed with the brocade fabric. The brocade fabric has a large floral pattern. The bodice is lined with silk and has a hidden front button closure. 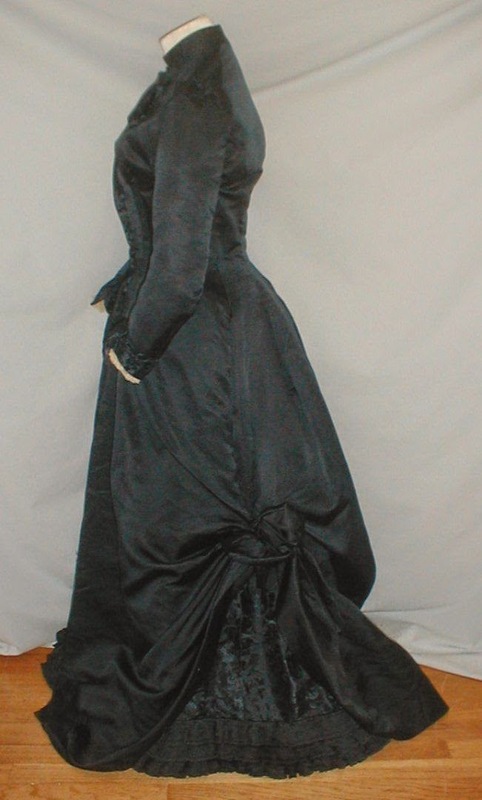 The skirt is made of the brocade fabric and the hemline is trimmed with navy blue silk ruffles. 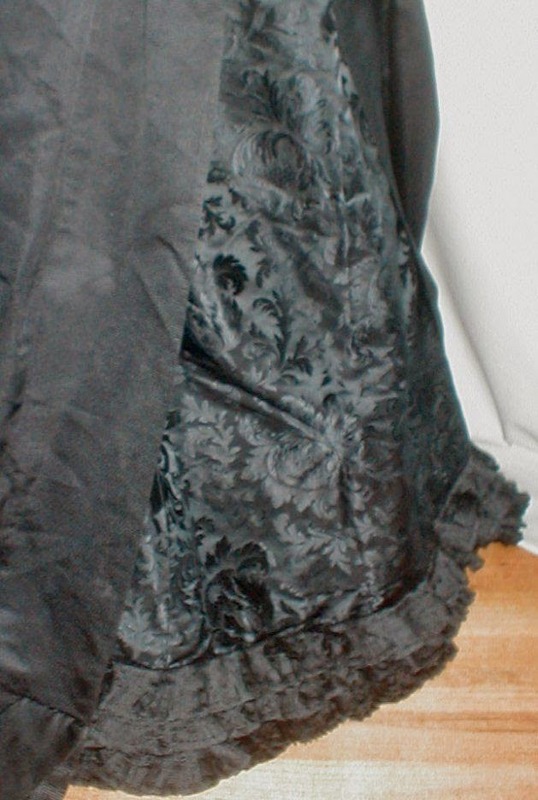 The skirt is lined with cotton and has an attached inside lace dust ruffle. 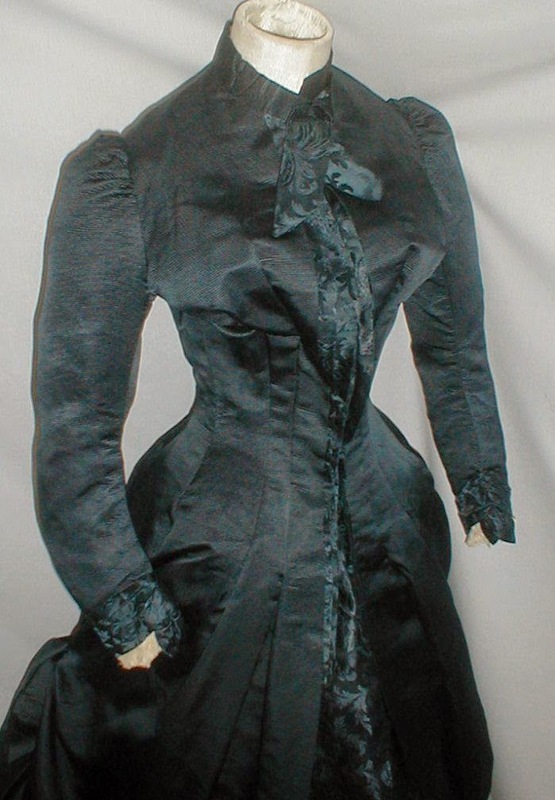 The dress is in excellent condition. There is no underarm discoloration and no splits or holes in the fabric. 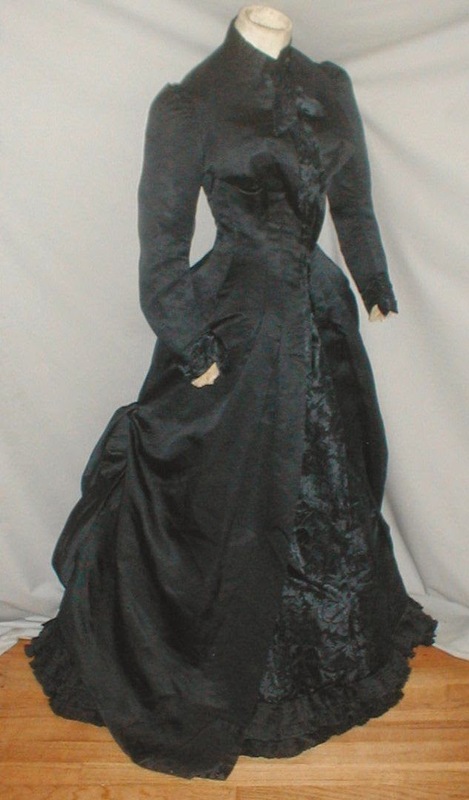 Bust 32 Waist 22 ½ Skirt length 41. Probably about 1889 or so.